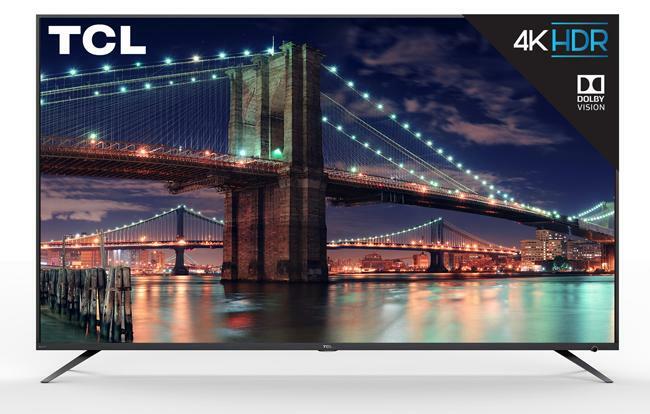 TCL has announced that its new 6-Series, the follow-up to last year's well-reviewed P6, will go on sale May 1. Like its predecessor, the new 6-Series features a full-array LED backlight with local dimming, and it will support both Dolby Vision and HDR10 High Dynamic Range, as well as Wide Color Gamut technology. The 6-Series was originally introduced at CES; pricing has not yet been announced. We are excited to announce that the most anticipated TV of 2018, TCL's new 6-Series, will be available by May 1. Announced earlier this year at the Consumer Electronics Show to incredible response, the 6-Series strengthens TCL's reputation for picture performance with increased Contrast Control Zones for exceptionally bright whites and deep blacks, a new iPQ Engine for controlled and precise color reproduction, and HDR Pro Gamma for impactful HDR performance in any environment. The new 6-Series is the successor to 2017's award-winning and well-recognized P6-Series. The P6 won a host of awards for its strong picture performance, including Editor's Choice awards from PC Mag and USA Today's Reviewed.com, as well as being called "The Best TV" by Wirecutter. Like the P6, the 2018 6-Series will continue to deliver an exceptional viewing experience and adds an innovative design aesthetic with a bold, brushed-metal finish that's sure to make a striking addition to anyone's living room. It also features Dolby Vision HDR combined with vibrant wide color powered by TCL's NBP Photon technology. Stay tuned for additional updates on the 6-Series. We can't wait for you to see more. Watch our product video: https://www.youtube.com/watch?v=v1rF7bbVcXY. • Visit the TCL USA website for more product information.